Today, before you are numerous options for choosing a hosting for your site. There are so many of these options that it is not surprising even to get confused. How much do you have to pay for hosting? Do you really need support, or do you prefer to do everything yourself? A few years ago, choosing a hosting company was much easier. Virtual hosting providers offered relatively low prices (between $ 5-15 / month), while some companies’ leased dedicated servers starting at $ 500 / month and reaching several tens of thousands of dollars per month. If you knew your budget, then you could easily make a decision. Today everything is much more complicated. Finally, we have the opportunity to rent a dedicated server – which is also known as collocation, when you have your own box in the data center. This service has not changed very much, except for the fact that data centers have become more complex, and computers have become more “smart” than three to five years ago. Let’s talk a little about page speed. Back in 2010, Google claimed that the load time of your website was a ranking factor. So, if you care about search engine optimization and traffic from Google, then, in this case, you should think about the performance of your site. Approximately 47% of Internet users expect the website to load in less than 2 seconds. The Aberdeen Group has data that the second delay in page load time could result in a 7% conversion loss. All these studies were conducted several years ago, and since then the network has only accelerated! Look at the speed of loading your site using tools such as Pingdom or WebPagetest. If the download speed is higher than 2 seconds, then, in this case, you can get a massive increase in income by simply switching to the best hosting tariff in terms of performance, or by changing the hosting company. 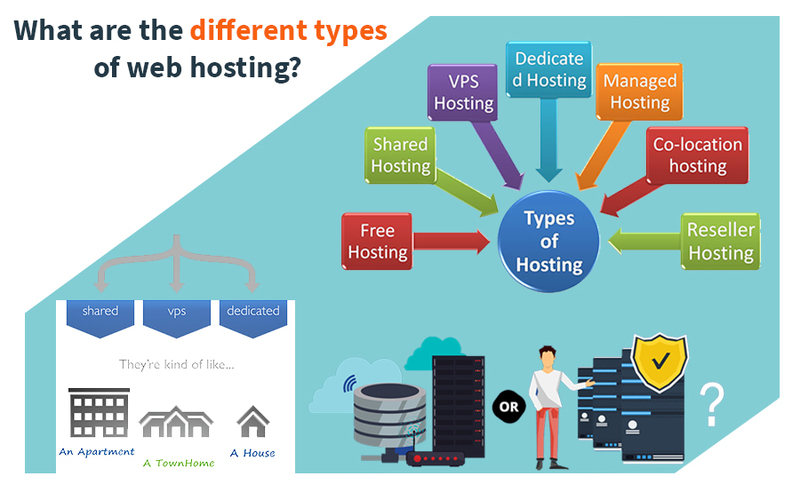 Let’s look at different types of hosting. If you have ever had a website, then, in this case, you most likely have already come across virtual hosting services that offer rates starting from as low as $ 1.99. They are considered “public transport” in the hosting world: extremely low fees, low flexibility, and strong overcrowding. As your website grows in size, you can expect a host of problems, such as bandwidth limiting, as well as slow response times. The latter is due to the fact that the only way for hosting companies to offer cheap rates is to place heaps of sites on one server. For example, if a hosting provider places your website on a computer that costs the company $ 400 each month, then it will need 200 clients for this computer to recoup the investment. And in order to get the maximum profit from each server, they will need to add several hundred clients to it, overloading a good (in other conditions) configuration. Imagine a dedicated server that does not share its space with anyone to achieve the highest possible performance and a computer with a couple of hundred websites, and you will understand the difference. More great shared hosting options you can find here. If you know how to work with operating systems on UNIX, then, in this case. You can consider creating a site on a VPS or on a dedicated server “on bare hardware”. The price of Digital Ocean for an entry-level. The disadvantage of VPS is that you usually do not have support and you will have to do some things yourself monitor system components, install server software, update everything constantly and, of course, configure all applications in the Linux environment (usually). There is also the problem of “bad neighbors”: since hardware resources are shared among multiple users of a virtual machine, poor performance is possible if someone misuses the resources of the machine on which your account is located. VPS has different levels depending on the service, starting with the lack of any support and ending with fully managed solutions. Fully managed VPS hosts usually install all necessary software, support it, update it, and monitor servers to reduce downtime. Obviously, the monthly fee for such servers will grow with your requirements. Own dedicated server is about the same as VPS. But instead of sharing a massive pool of hardware resources with other people through virtualization, you get to use them. The price usually starts at $ 100 per month. There are often offers for several thousand dollars a month, although such machines are needed to support very large applications. That attract millions of visitors every month, or for applications that require unusually high computing power. The disadvantage (in addition to the price tag) – you have to work with random equipment failures. This the solution is different from the others in that if you, for example, fail the hard drive. And you do not have another mirrored hard drive, you will encounter idle hours in a few hours (or even days). If you don’t have any backups at all, then you are a double loser. A defective processor or RAM module can also cause serious headaches. OVH usually have good deals on the dedicated server. As stated in the introduction, you have so many options to choose from. Hopefully, after reading this article, you will have a clearer idea of the available hosting options, and you can make a decision based on your website, requirements, and budget. Next Next post: 7 Simple but Most Impactive Website Needs to Check!